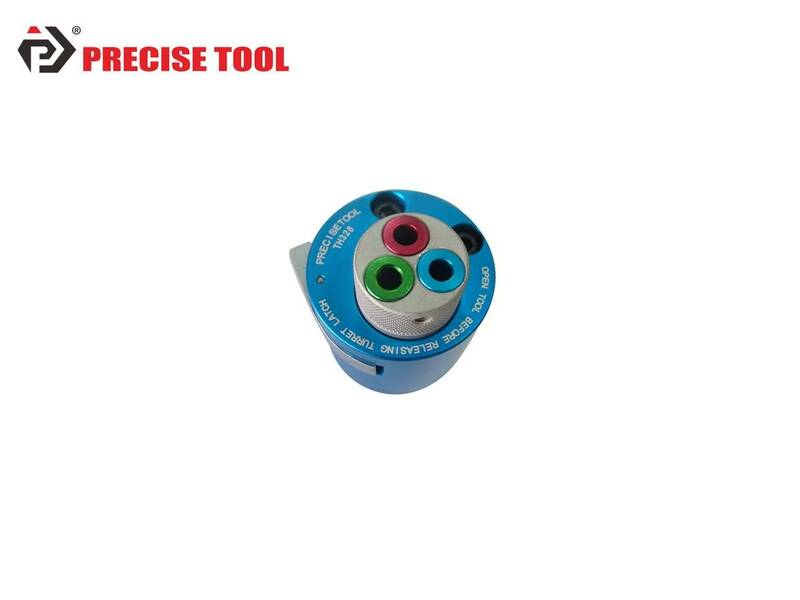 PRECISETOOL TH328 Turret Head-Jiaxing Jingrui Instrument & Equipment Co., Ltd.
3. Suitable for company's crimping tool model YJQ-W2A (manual) & YJQ-W2Q (pneumatic). TH328 turret positioner contains three different specifications of the positioning cores. Each core is corresponding to the different positioning core turret colors (red, yellow, blue), rotate to the right color according to the different terminal specifications. 1. Keep the crimp tool in open position. 2. Press turret trigger latch which releases turret to indexing position. 3. Place selected turret head assembly onto retainer ring with socket head screws lined up with tapped holes. 4. After turret head is seated against retainer ring, tighten socket head screws. 5. Refer to data plate on turret head. From the color code column, select the positioner color that corresponds with the appropriate part number and size of contact to be crimped. 6. With tool in open position, and turret in indexing position, rotate until color coded positioner is in line with index mark. Press turret until it snaps in latched position. 7. Refer to data plate on turret head. From proper wire size column, determine the selector number that corresponds with the contact being used. 8. Remove spring clip from selector number is in line with index mark.